Greetings to you from the Celestial Planes of the Creator’s Universe, we share with you high vibrational frequencies of purity, truth and love. We are guardians of the Celestial Planes and levels which promote the innocence and essence of the Creator. There are others who safeguard the Celestial vibrations, for all who inhabit the Celestial Planes and radiate its truth do. We, the Celestial Dolphins wish to awaken within souls from the depth of their being, the joy, fun and bliss of the Celestial innocence of the Creator. In doing so we wish to create continuous realisations of your eternal alignment with the Creator. Imagine that you knew someone not just for one lifetime but many. Imagine if you knew the same person for eternity, that you were the same as that person, you were that person and could recognise yourself in numerous ways, aspects and phases. You have and will know the Creator for every lifetime of your existence. You will see yourself as one with the Creator and as separate aspects of the Creator. You will seek to know yourself and the Creator as fully as possible while also realising that understanding isn’t always necessary and doesn’t always create enlightenment. You may come to realise that the Source, Creator, God, you seek to acknowledge, unify with and embody has been your constant company as you and through you. It may be that you cannot answer our questions because you have yet to acknowledge such a deep knowingness of the constant presence of the Creator within and around you. You may have glimpsed that which we speak of, and yet we are speaking of a knowingness that is so abundant, all consuming and eternal. Such a knowingness of the constant presence of the Creator cannot be shaken or damaged, it can only be hidden from view. When something is hidden from view it is often labelled an illusion which can be a belief, perception, perspective or observation. When, we the Celestial Dolphins, awaken your divine innocence we are encouraging you to recognise the zest, vigour and life of your existence. This can truly manifest and be embodied when you allow yourself to fully realise the constant nature and presence of the Creator within and around you. Call upon us the Celestial Dolphins to enter into your heart chakra and higher heart chakra weaving our energy throughout these chakras and into your entire being. Feel our energy and presence moving into your sacred heart space, simply allow us the freedom to work with you as you focus upon relaxing your sacred heart space and letting go of any blockages or wounds that may be present. 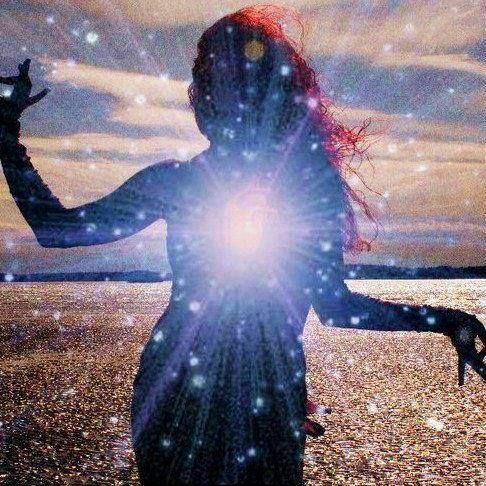 You will feel our energy moving through your sacred heart space as it becomes lighter with greater freedom. We are cleansing your sacred heart space, quickening and raising the vibration present in order to draw the energy, light and consciousness of your innocence from your soul into your sacred heart space on a greater scale than experienced in this lifetime. Let the energy of your inner innocence flow throughout your being like a healing, uplifting and awakening tonic. In doing so allow the energy of your inner innocence to ignite your realisation of the life, vigour, energy, zest and fun of your being and the Universe of the Creator. It is in the energy of life itself, the rhythm, vibration, sound and light of life, that you will discover the trust that has been present within your being eternally. A trust that is unbreakable and indestructible, which creates a constant and eternal bond with the Creator and a knowingness of the everlasting support of the Creator. Imagine you acknowledge the presence of life flowing through you. We, the Celestial Dolphins, will assist you with this realisation and awareness. Let your inner power of trust lift you up as if the ocean of trust within you is carrying you higher and higher, leaving behind judgments, blockages and illusions and delivering you to and awakening within you the realisation of the constant presence of the Creator within and around you. We, the Celestial Dolphins, will support you in your unique experience to you, simply allow yourself to receive. When you make space to contemplate the eternal presence of the Creator, your embodiment of the constant presence of the Creator and how the Creator is supporting you perpetually, your inner energy begins to unwind. Beliefs and illusions unwind their hold on you or your hold on them, being set free, while your inner energy and sacred nature unwinds into the infinite space that you are. You see yourself and your reality gradually in a new way which empowers and awakens you. Your abilities to sense the support of the Creator and therefore with greater ease create the reality you wish to perceive, and experience will develop. This will all require care, patience, observation, healing and inner exploration. Before going to sleep last night, I asked the Grandmothers to teach me during the night...to give me a dream, or appear in some way. "I want a 'night class'," I said, and sure enough, they gave me a dream. I'm tied down by ropes and can't move. Trapped, constrained, helpless, I'm part of a mass of beings bound down like this. People, animals, others. And strapped tight as we are, it's impossible for us to fight our way out of this trap. I struggle for a while until I realize I can do nothing to free myself. In fact, I'm bound so tightly I can hardly breathe enough air to keep myself alive. When the impact of being trapped like this hits me, fear floods my mind. "Help me!" I cry and immediately feel a presence. There's a huge body of light and power inside me, and it's swelling."Yes!" I say as I recognize this inner force. I then begin to will the light inside me to grow--to get bigger and stronger--and it does. And at last it becomes so vast, so potent, that this great swelling light pops all the bindings off me. I watch them go, fly into pieces, and fall away. Now they no longer even touch me. They're gone and I'm free. I look around myself then and I see that my becoming free like this has somehow affected those around me too. Their bonds are also dropping off. All it took was for me to remember the force of light inside myself and as soon as I thought of it, this light grew and broke me free. I didn't have to struggle at all. In fact, I didn't have to do anything. Liberation was entirely effortless. Just remembering the light inside myself did the trick. I came awake from that dream thrilled with the power of my own freedom. I was really free. "How easy it is to forget my own power and freedom," I said to myself. "Easy to forget who I am and get caught in the dramas of life, caught in the cruelties playing out on Earth now--and caught in the simple difficulties of every-day living." Then I began to think about the Net of Light and "Whoa!" I cried. "Whenever I think of it, the Net of Light (which IS the light force inside us) comes alive." Just thinking of it makes that happen. And as soon as the Net of Light is activated inside one of us, it comes alive in everyone around us too. So as I free myself, I free others. This 'night class' the Grandmothers gave was really valuable to me and I hope you'll use it too. The world today is full of drama, trauma and horror, but all of that is no match for the light being you are. You are boundless. You are immortal. You ARE the Net of Light. Let's help each other remember this truth. If you feel called to be part of this work, please gather with us to celebrate this important point in history and integrate the power of the Feminine Principle back into our beloved planet. We've waited a long time for this; so please join us as we work together to welcome God the Great Mother back to Earth. The Grand Mothers say, "Only those we call to this work will come." So if you are feeling this call, sign up now. Everything that ever was, is now, and ever will be, is now. And so, in the language of the Realm of the Absolute, there is nothing that has not been created. Only in the language of the Realm of the Relative could the statement be made that the Totality of You cannot be known because it has not yet been created. In truth, all of You has been created. Yet all of You has not yet been experienced by the individuated part of You that is the localized expression of the Universal Self. It has not been experienced by your present consciousness. The only way for the individuated part of You that is the localized expression of the Universal Self to experience all of You is to recreate parts of You until all of You has been Known. Yet the All of You is infinite and eternal. Therefore, it cannot be known or experienced in any relative sense, but only in an Absolute Way. Since the Local You does not know that it is the Universal You, it imagines that it is creating, rather than recreating, itself in each moment. This is its conceit. The Holy Experience is the dropping of this conceit. It is the shedding of this illusion. It is the lowering of this veil. This is an act of great humility and an act of great self-glorification, both. It happens when we come to know that we are not who we thought we were. It occurs when we understand that we are nothing at all, except exactly what we are right here, right now. And that we can change that at our absolute discretion. Is this not what it means to be Divine? And is there any more glory than that? Look to see, then...who are you right now? What are you? Are you confused? Are you frustrated, finding all this difficult to follow? Are you annoyed that you are not "getting it"... or overjoyed that you are? You are none of these things unless you say that you are. And you cease to be these things the moment that you say you are not. That moment is the Holy Moment. That experience is the Holy Experience. These are the areas of life expression in which it is possible to encounter or create the Holy Experience. Next week here in the Bulletin let me see if I can even more closely describe the Holy Experience, by more broadly defining it. © 2018 ReCreation Foundation - http://www.cwg.org - Neale Donald Walsch is a modern day spiritual messenger whose words continue to touch the world in profound ways. His With God series of books has been translated into 27 languages, touching millions of lives and inspiring important changes in their day-to-day lives.